A 7 hour day of driving as we meandered our way from Dublin to Ballymena in northern Ireland. The unepected sunshine was delightful. 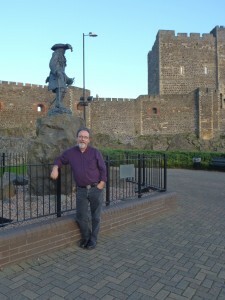 A side-step stop in Carrickfergus to admire the place that we sing about in our repertoire. 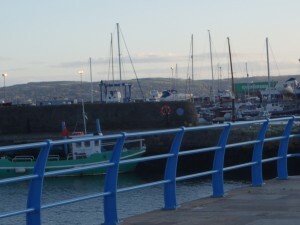 The lyics, “I wish I was, in Carrickfergus…” is now..”So glad I was, in Carrickfergus”. A stroll and stretch beside an amazing 11th century castle by the sea was a highlight of our drive. We eventually arrived at our Adair Arms Hotel in the town of Ballymena, northwest of Belfast more than ready for dinner, a late stroll through the town centre and then finally, a good night’s sleep!